Okay, here’s the plan. Buy the normal assortment of treats that you pass out every year. Then, buy a bag of Milky Way fun size bars. On Halloween night, hide the Milky Way bag in hopes that it won’t come into play that night. 1. “Find” the Milky Way bars. 2. Act surprised that you over bought this year. 3. 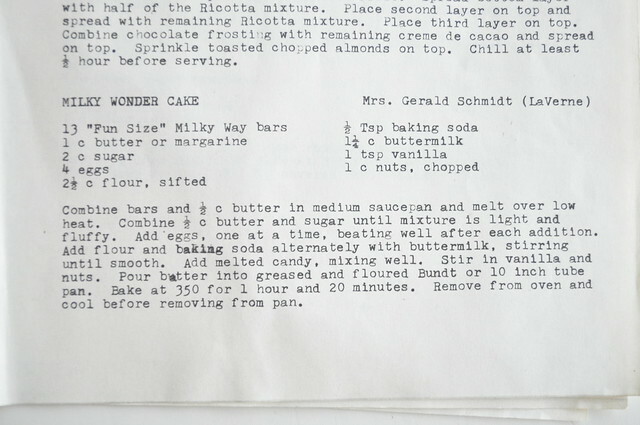 Make this cake. Everyone will think you’re a miracle worker, turning all of that “extra” into something so good. Over low heat combine 1/2 cup of butter in a saucepan. Whisk occasionally until it all comes together. 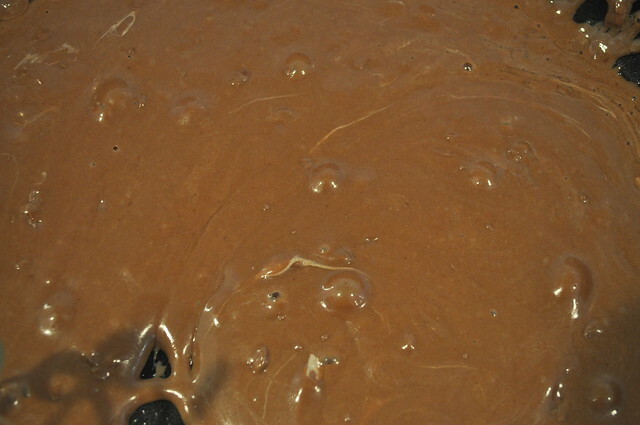 It’ll be fairly smooth and look like melted milk chocolate. 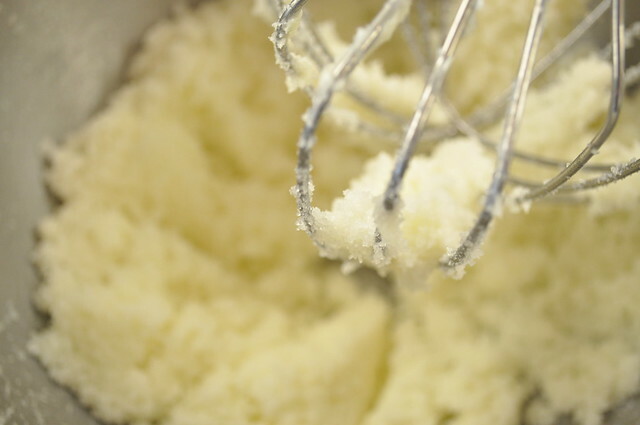 Meanwhile in a mixer cream 1/2 cup butter and the sugar until mixture is light and fluffy. Then add eggs, one at a time, beating well after each addition. In a separate bowl mix the flour and baking soda together. Then begin adding to the butter/sugar/egg mixture. Alternating with the buttermilk. 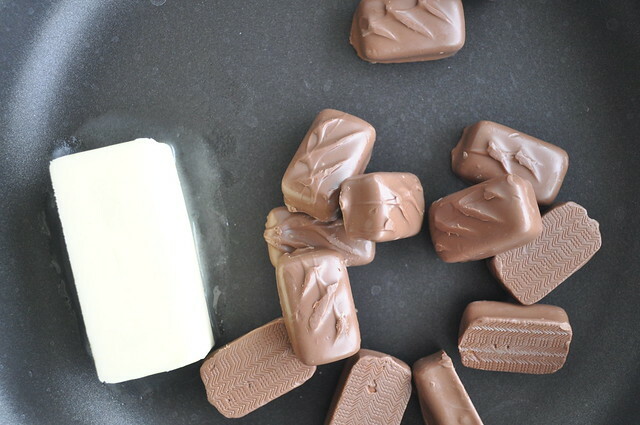 Fold in the slightly cooled candy mixture until well incorporated. 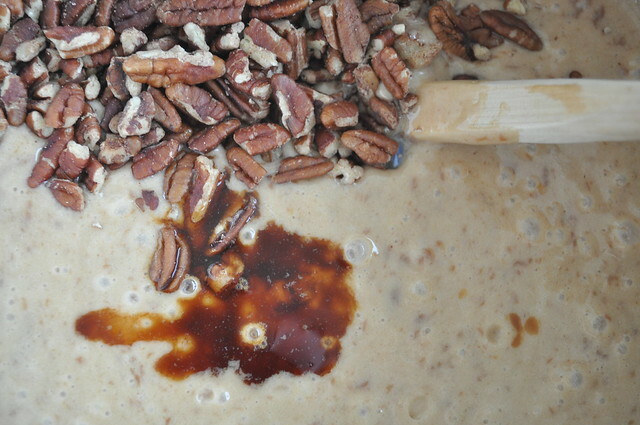 Quickly stir in vanilla and pecans then pour in a buttered, floured bundt pan. Bake at 350 for 1 hour and 20 minutes. (Begin checking after one-hour with a toothpick.) When toothpick comes out clean, remove from oven and cool before removing from pan. This cake is sweet so make your portions small. Get this going first as it will take a little time over low heat. Can’t speed it up much because burning the candy would ruin the whole thing. I used he whisk quite a bit to keep the process moving along. You can see tiny bits of nougat and caramel but this is good to go. Let it cool a bit then stir it in to the batter well. It’ll look like this and then be ready for the oven. Serve it up with coffee or a glass of milk…it’s sweet. But so so good. Is the plan in motion…did you “accidentally” buy the extra bag of candy? 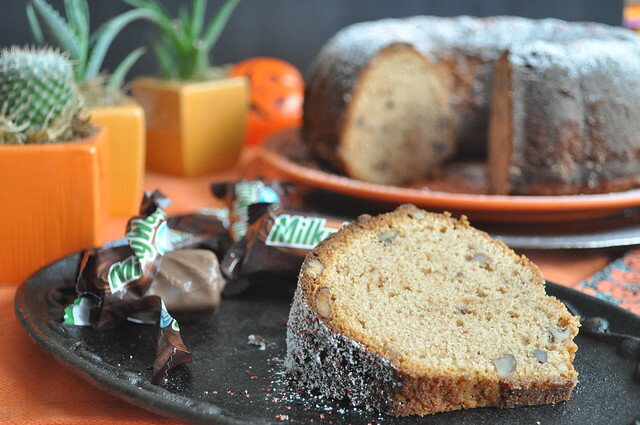 I’m going to make this if the kids come home with enough Milky Way bars tomorrow! I can substitute with Snickers, too, right? I haven’t tried it with Snickers. The bars won’t melt as smoothly but I’d think you’d end up with a similar finished product. Let me know how it goes!